Melton Lions Volleyball Club narrowly lost a fifth set decider in their latest National Volleyball League clash on Sunday. The Lions travelled to Derby hoping to avenge a narrow early season defeat to Darkstar Derbyshire. Darkstar edged a tight opening set 25-22, but the visitors battled back well to take the next two 25-18, 25-17 to stand on the verge of victory. But the home side held their nerve in another tight set, taking the fourth 25-22 to force the Division Two North match into a decisive fifth set. 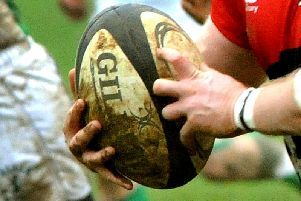 Derby took it 15-10, a defeat which leaves Melton fourth in a congested league table as just four points separate second spot from second-bottom. Melton will be keen not to get sucked into trouble at the bottom of the league with five games of their debut campaign remaining. They have no fixtures this weekend, but return with a home match against third-placed Sheffield at Brooksby Melton College (Brooksby campus) on Saturday, February 25 (2.30pm start).